The saturation index estimates the point where swimming pool water will no longer hold any more substance, such as minerals or chemicals. 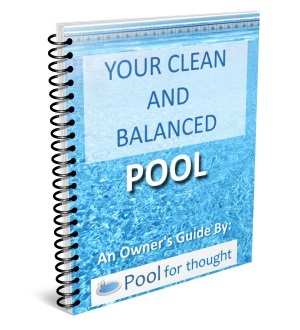 What is the Saturation Index (SI) in swimming pools? Saturation Index, often denoted as SI, is an indicator of how well water is balanced or unbalanced, and estimates if water will tend to participate in particular minerals or will dissolve minerals. The saturation index is the addition of the pH, plus water temperature, plus water calcium hardness, plus water total alkalinity, and then subtracting 12.1 from the results. A saturation index equal to zero indicates the water is balanced, and should not be corrosive or scaling. If the saturation index is anywhere between -0.5 to +0.5, this is still acceptable, as the water has not strayed out of balance one way or the other far enough to be an issue. If the saturation index is less than -0.5, then the water is corrosive to metals and mineral surfaces exposed to the pool water, and needs to be re-balanced. 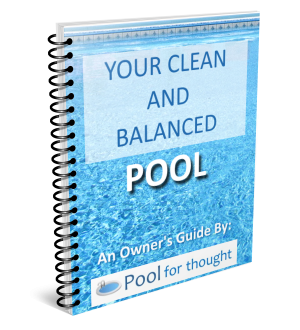 At an SI over +0.5, the water is also out of balance, and may lead to cloudy water and eventually contribute to scale forming on pool walls and equipment.